Thermoset & Thermoplastic Prices: Which is Cheaper? Regarding the manufacturing costs of plastic parts, it is often noted that thermoplastic prices are lower than thermoset plastics. While this may be true to a certain degree, thermoplastics offer limited advantages when compared to their thermoset plastic counterparts. Upfront tooling costs, part strength and performance, and even appearance play an important part in determining which materials to choose, and although cost is a factor, it’s not the only one to take into account when determining which process to utilize. When it comes to material costs, without a doubt there are some key advantages to consider in using one type of plastic over the other. Upfront costs for thermoset materials are generally greater than thermoplastic, and the process takes longer to complete. Thermoplastic has the potential for rapid, high-volume production if needed. However, there are still limits to this advantage, and it’s more than just in the material costs, production time, or the many applications of either thermosetting plastics or thermoplastics. So, let’s look at the factors of thermoplastic and thermoset plastic manufacturing and some of their associated costs. The reality is that the cost difference between thermoset and thermoplastic manufacturing is not clearly defined. As with any material, in order for the components to be mass produced, they must be cost-effective, especially if the potential exists for the production runs of thousands or millions of parts per year. The difference in material costs are cited as a benefit in using thermoplastic. However, that’s more a generalization, and not entirely accurate. Thermoplastic pricing differences can range from just under a dollar to upwards of $10 a pound. There are also some thermoplastics that are more expensive than thermoset plastics. Polyamides and polyamide-imides (PAI) and carbon-fiber reinforced plastics (CFRP) are just a couple of examples of higher grade thermoplastics that have similar properties as thermosets, but are more expensive. For example, the raw material costs of common thermoset bulk molding compounds (BMCs) and phenolic resins are lower than PAI and CFRP. In the transportation industry, in addition to the heat and chemical resistant properties of thermoset plastics, the lower costs of thermoset materials make it a practical choice for both short and long production runs. Initially, the biggest difference in pricing between thermoplastic and thermoset manufacturing is the tooling expenses. The price in tooling associated with the former is significantly higher than the latter. Thermoset production can utilize composite tooling, which is less expensive than the metal (often machined steel) tooling requirements of thermoplastic production. As the requirements for meeting the number of parts increase in production, so do the expenses in tooling and the complexity of the mold itself. Metal molds or tools, commonly referred to as hard tooling, are necessary for high production runs. The tools must be able to maintain surface quality all the while withstanding the repeated cycles involved with production. Hard tooling comes with a cost, though. 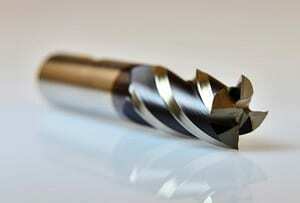 The tools are usually composed of more expensive metals and metal alloys such as austenitic steels. They must possess a degree of corrosion resistance, as well as have the strength, resilience, and ductile properties to last through production cycles. Depending on the degree of difficulty in the tooling needed, services of a tooling specialist may be required to manufacture, repair, and maintain the metal tools, which also adds to costs. When choosing a plastics manufacturer to produce your parts, understandably, costs can be a driving factor. However, other factors should be considered, too. The decision to use thermoset or thermoplastic can also relate to the functionality, usage and material properties of the part as needed. When tallying up that need it’s important to add the upfront costs with the long-term costs as part of the equation in the decision-making process. The experts at Osborne can help you determine which process and materials to choose for your application, so contact us today! * The number of mold cycles any mold can withstand depends on a number of factors such as part geometry and draft, resin formulation, mold maintenance programs, etc.